Do you often begin your day with a glass of fresh fruit juice or worse, a canned juice? This could be very damaging to your health and weight loss plan. 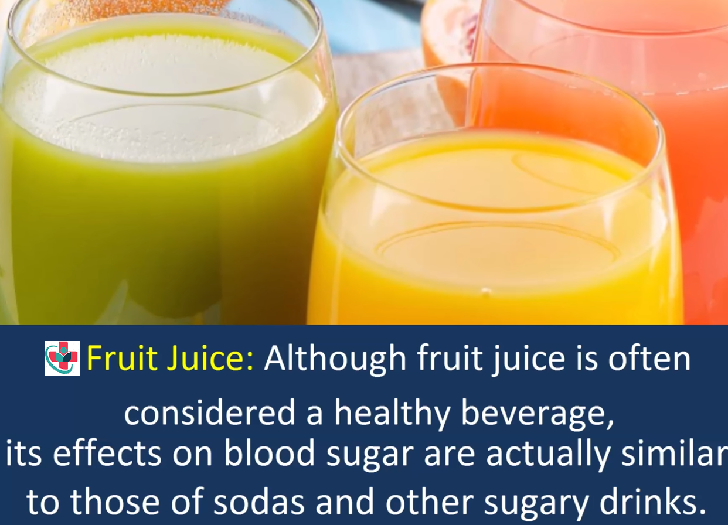 Fruit juice, which is considered healthy by most people is almost as bad as soft drinks. Here's why. Despite its convenience, the fruit juice is a far less healthy option than a real piece of fruit. Not only does the juicing process destroy a number of fruits’ beneficial compounds and antioxidants, it removes nearly all of the natural fiber. All the sugar with none of the fiber? No, thanks — fiber carries a myriad of digestive benefits and is crucial for slowing the absorption of the fruit’s sugar and keeping its glycemic index low. This, the scientists hypothesized, may be why juice increases the risk of diabetes, and why a high intake of fruit juice has been linked to childhood obesity. It’s important to note that while it’s often marketed as healthy and natural, the fruit juice is not a low-calorie beverage. Just eight ounces of regular orange juice, for instance, contains over 110 calories, the equivalent of almost two oranges. However, you won’t feel as filled up, because the juice doesn’t contain any fiber. Don’t fall into the trap of thinking that the calories are worth the vitamins — a single orange provides well over the recommended daily intake of vitamin C, and without as high a spike in blood sugar. Many juices on the market are also a lot less natural than they appear. Some “100 percent juice” products undergo a decidedly unnatural manufacturing process wherein the juices are squeezed and stored inside giant vats while the fruit’s in season. When oxygen is removed to help with preservation, the flavor vanishes with it, and companies that specialize in synthesizing fragrances are hired to add in “flavor packs” before the juice gets sold — up to a year later. ALSO, READ: Don’t give your child fruit juice instead of water. It's probably better to just grab an apple. A bottle of juice can be a more portable source of vitamins than, say, a half-eaten banana. But whenever both are viable options, pick the fruit. The fiber will fill you up, the nutrients are intact, and it still tastes like nature’s candy.